begin. So in 1911, they had to file with the the city of Los Angeles a subdivision map. It was called Tract 1000. That was the first step in how Sherman Oaks began. 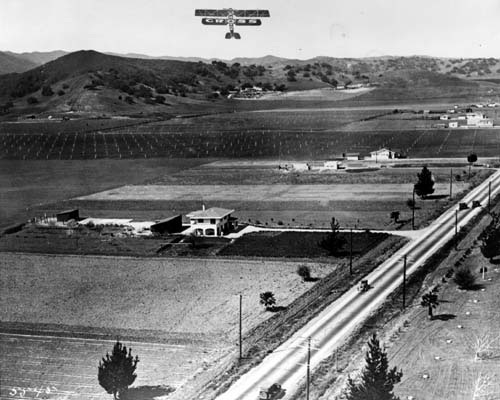 Then a man by the name of General Moses Hazeltine Sherman, who was also one of the partners of the Los Angeles Suburban Homes Co., purchased 1000 acres all for himself. Well a little over 10 years went by and in 1927, he took that 1000 acres and subdivided it all up and sold off the land at $780 and acre. Sherman Oaks was born. Now you know where the name Sherman comes from in Sherman Oaks. Sherman Oaks is part of the Valley. To get an idea of where it sits, it between Studio City, Van Nuys, Encino, Bel Air and Beverly Hills. Now the northern boarder currently goes to Burbank Blvd. But In July of 2009, the council for the city of Los Angeles had granted the request to extend that boundary further to the north all the way to Oxnard St.
tear it down. 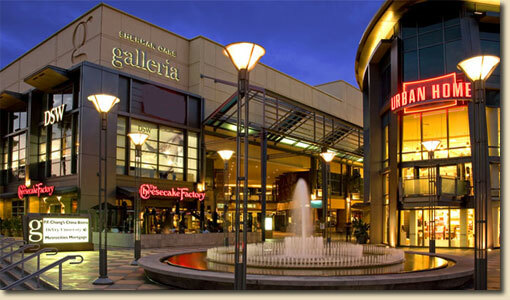 Thankfully it was rebuilt into a beautiful open air mall and it still is Sherman Oaks more popular landmark. It has also been seen in many films thru the years. One of the first films it was used in was back in 1983 in the film Valley Girls. Another famous film it was used in was Fast Times at Ridgemont High. All of the kids in the film worked there so its shown thru the entire film. Another famous landmark of Sherman Oaks is Castle Park Miniature Golf. Its one of the top miniature golf parks in the country. Its famously known for its lavish front that is built as castle.